The crew from Heritage Radio Network joined us at the farm for the Fire, Flour, and Fork event and got a short and sweet podcast interview. Clay talks about the origin of the AOF Berkabaw, Ian Boden from The Shack talks about his AOF pork schmaltz bread, and John Kiers from Oxe Eye Vineyard discusses how the Shenandoah Valley is a great region for growing grapes. We are back for another feature in the Fall edition of Edible Blue Ridge magazine and this time it is the Berkabaws who are getting all the attention. Check out the article to find out why we didn't eat pork for over 2 years, what a "Land Tuna" is, and why the best chefs across our region are demanding to bring the fat back! Link below. Thanks to Steve Russell for writing the article and Paul Whicheloe for the great photos! Autumn Olive Farms is on a podcast! There have been a ton of interviews and articles over the years but this was our first podcast. A lot of us here utilize podcasts while driving to stay up to date with our interests in this busy world. 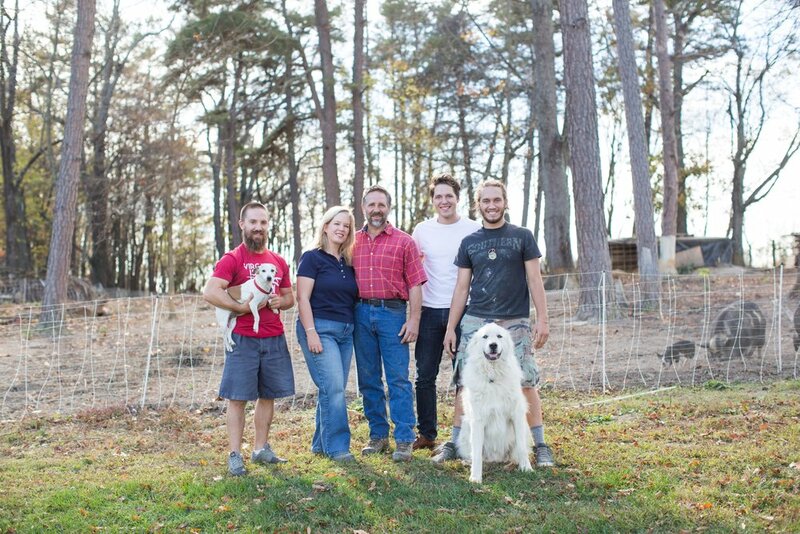 After touring the farm we sat down with Jenée Libby and had a conversation about the farm, its history, and what we do different here at Autumn Olive Farms. Turns out she grew up spending summers across the river from our farm. Check out the podcast in the player below or on her website. "If they're not successful with our products, then we aren't successful. It's a very intimate relationship." "When Clay Trainum caught wind of the devastating earthquake in Amatrice, Italy last week, the first thing he thought of was hog jowls."